Completed Interior Project in JP Nagar Bangalore. Villa Interiors astonishingly completed for Mr. Sanju in JP Nagar Bnagalore. Interior designers in JP Nagar bangalore. Completed Villa Interior project for Mr. Sanju in JP Nagar Bangalore. Mr. Sanju Project Gallery JP Nagar Bangalore. About Our Custom Interior work in JP Nagar Bangalore. This 3BHK Villa is abode by Mr.Sanju in JP Nagar Bangalore. The challenge of this project was to satisfy the client with delightful and aesthetic interiors within his budget, and which we achieved by our smart designing concept and ideas. 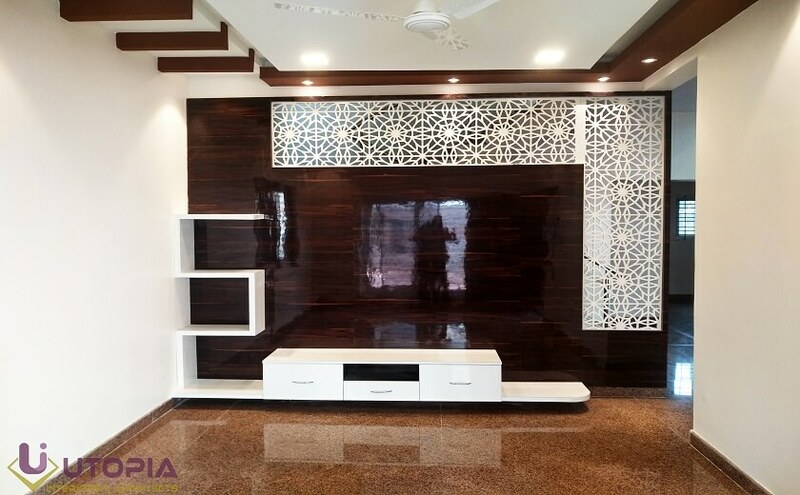 Utopia Interiors is one of the leading interior designers in Bangalore and also a renowned budget interior designers in Bangalore, and we completed many economy projects in Bangalore. We not only have expert team of designers but we also make sure that our expert and experienced site engineers make 100% Sure that all plans are executed with precise measurements ,Finishing and on time delivery of the project.